Looking to chow down on some Filipino snacks? Head over to Lola's Lumpia, which is located at 445 Albee Square West in DeKalb Market Hall. 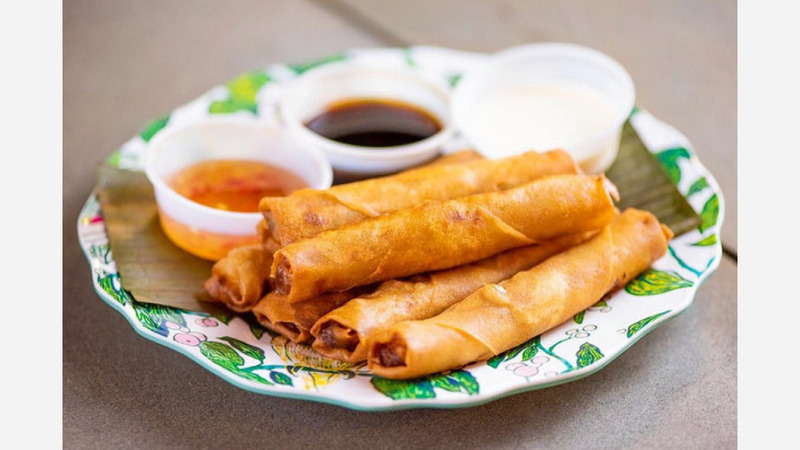 The downtown Brooklyn pop-up specializes in three varieties of lumpia, which it describes on its website as the "Filipino version of a spring roll." Options include chicken lumpia served with Calamansi aioli; pork lumpia with sweet chile sauce; and mushroom lumpia with classic adobo sauce. Combos featuring all three rolls are also available. The eatery, which is only scheduled to be at the market through June, is looking for a permanent space for the restaurant, per a press release. With a 4.5-star rating out of six reviews on Yelp so far, the newcomer is on its way to developing a local fan base. Rachel D., who reviewed it on June 16, wrote, "They've opened my mind to the lumpia possibilities! Lola's Lumpia really hit the nail with these recipes and the sauces they've paired with each flavor." And Sean R. wrote, "Reminds me of my grandma's home cooking. The yogurt and sweet/spicy sauces are great with the lumpia. Delicious food!" Interested? Lola's Lumpia is open from 11 a.m.-9 p.m. on Monday, Tuesday and Sunday and 11 a.m.-10 p.m. from Wednesday-Saturday.